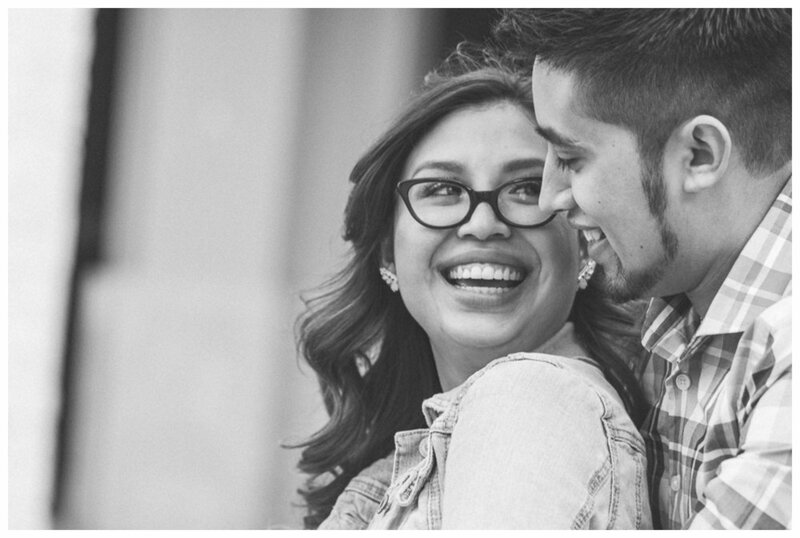 One of my biggest sources of inspiration, as a photographer, comes from my couples. When I'm photographing weddings and engagements I get to know my couples as much as possible so when I'm photographing them I can capture their personalities. With Elizabeth and Danny I ended up in an all too common predicament of having captured too many photos, so this is the second blog post from their engagement shoot! 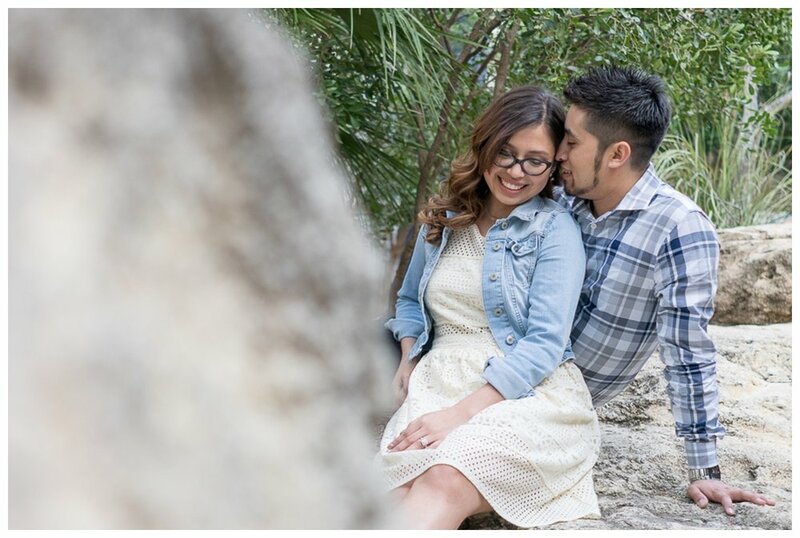 Make sure you check out Part I of their Riverwalk Engagement session! My favorite part of our pre-session consultation was discovering what the two of them love most about each other. 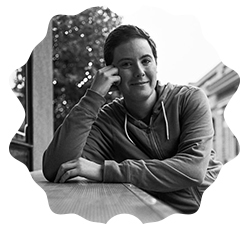 Danny's patience, kindness and support won over Elizabeth. In Danny's words, "she can drive me crazy but it just takes one little text to completely make my day and erase all of my frustrations!" Though they've been dating for 5 years, both knew around the 2 year mark that it was ment to be, but Danny waited to pop the question until 12:02 this past New Years Eve. He picked an engagement ring to match Elizabeth's promise ring (check out the photos below, they're such stunning rings). I completely agree with Elizabeth when she said "he did good", referring to his choice in engagement ring. While their wedding isn't until April of 2018 and there is plenty of planning left to do, there are a few things they do have planned for the rest of their lives. Elizabeth wants to own her own bar (and the second that happens I know I will have a new favorite hang out spot) and for Danny, passionate about music, building his own recording studio is the end goal. To be able to photograph not just two people so in love, but so passionate and hard-working is an honor. Congrats to these two beautiful people on their engagement, and I can only imagine how beautiful your wedding will be! It will be an event like no other than San Antonio has seen!